Note: This price is for the online assessment ONLY. If you have not yet purchased the print book or eBook, click here. The online assessment for Gynecologic Oncology and Critical Care, Seventh Edition offers clinically oriented multiple-choice questions that will challenge the way you think. Earn up to 25 CME credits instantly upon successful completion of the assessment. 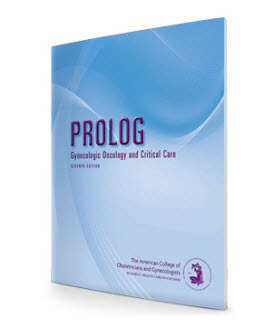 This online assessment is a companion product to the Gynecologic Oncology and Critical Care Critique and Assessment books. The online assessment is included in your order when you purchase the print edition or the print and eBook combo of this volume but must be purchased separately if you have bought only the eBook. Gynecologic Oncology and Critical Care focuses on advances in chemotherapy for ovarian cancer; incorporation of neoadjuvant chemotherapy in the treatment of ovarian cancer; new drugs for recurrent ovarian cancer; introduction of precision medicine into the care of women with gynecologic cancer.